In celebration of the women of our past, present, and future, enjoy this compilation of songs selected by women who work at the University of Redlands. When I listen to this playlist and think of courageous women who have dedicated their lives to advancing the rights of women, among those I think of are Dr. Alice Stokes Paul and her supporters, who staged a massive parade in 1913, the day before the inauguration of President Woodrow Wilson. 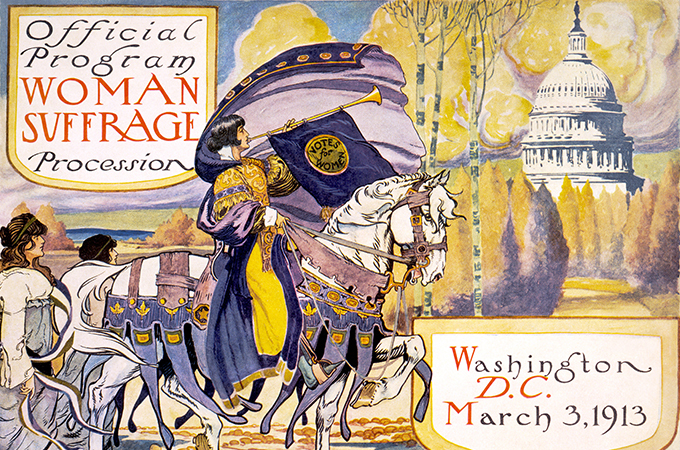 The first of its kind, the parade became a strong statement in support of women’s suffrage. By 1920, the Nineteenth Amendment to the U.S. Constitution was passed, a major milestone that granted women the right to vote. Over 100 years later, women from all over the country of diverse ages, hues, and backgrounds still mobilize in support of social, political, and economic rights. At the University of Redlands, students can explore these issues and more in the Women, Gender, and Sexuality Studies major, an interdisciplinary program that draws on a rich offering of courses across the U of R College of Arts and Sciences curriculum.